An acronym for Digital Camera Raw, a file with the DCR file extension is most likely in the Kodak Raw Image format. These are uncompressed and unprocessed image files saved from a Kodak digital camera. Some files with the DCR extension might instead be Shockwave Media files that are used to store web games. These are similar to Adobe Flash's SWF format but instead of being made with Flash, they're produced by Adobe Director. Other, less common formats that utilize the DCR extension include AstroVIEW X data logs, Delphi Component Binary Resources, Digital Court Recorder videos, and Liberty video recordings. DCR files that are Kodak Raw Image files can be opened with Able RAWer, GIMP, Adobe Photoshop, and probably some other popular photo and graphics tools as well. If you're confident that the DCR file you have isn't a Kodak Raw Image file, it could instead be a Shockwave Media file, in which case you can use Adobe Shockwave Player or the now-discontinued Adobe Director to open it. iSwiff for macOS may work too. AstroVIEW X Data Log: Try a text file editor, like Notepad in Windows or one of the several other text editors. Delphi Component Binary Resource: Opens with Delphi or the appropriate Micro Focus software. Digital Court Recorder Video: Playing and recording software available from BIS Digital. Liberty Video Recording: Playing and recording software available from Liberty Recording Solutions. Considering the slew of formats that might use the DCR extension, as well as the number of supporting programs for DCR, even just Kodak Raw Image DCR files, you may find that a program you have installed is configured as the default opening program for DCR files, but there, of course, is always the option to change the file association. 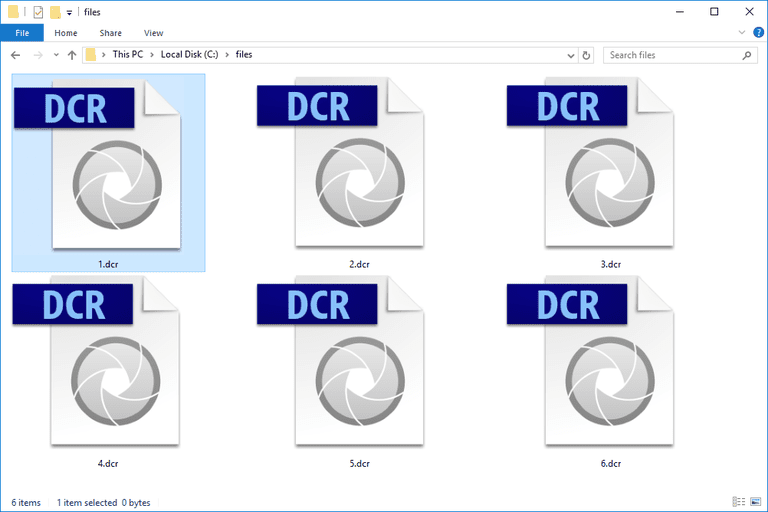 Since not all DCR files are created from the same program, it's best to convert a DCR file using the specific software that created it. For example, a DCR that's an image file can be opened in Photoshop or with a free image converter and then saved to a new format like JPG, PNG, etc. Liberty Recording Solutions DCR files can be converted to WAV or WMA using Liberty Court Recorder. You can also export the DCR file to PDF with an embedded WMV file. The resulting WAV or WMA file can then be converted to MP3 or some other audio format using a free audio converter. If you have a DCR file that's a video file or that's in a different format, try using the program that created it to export the data to a new format that's more popular, like MP4 or SWF.